1. You can claim a charitable deduction equal to the stock’s fair market value. Example: You purchased stock valued at $2,500. Ten years later, it’s valued at $5,000. If you fall in the tax bracket paying 15 percent on capital gains, you will owe $750. But what if you donate that stock to Saint Mary? You transfer the ownership of the stock to Saint Mary. Then, on your taxes, you claim full fair market value—$5,000 in this scenario—as a charitable deduction, and you don’t pay any capital gains tax. 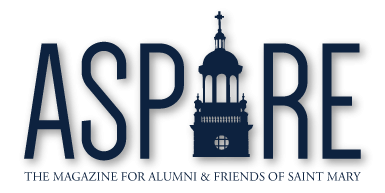 For help with transferring stock, contact Jane Ellen Liebert, major gifts & planned giving officer, at 913-758-6126 or jane.liebert@stmary.edu.